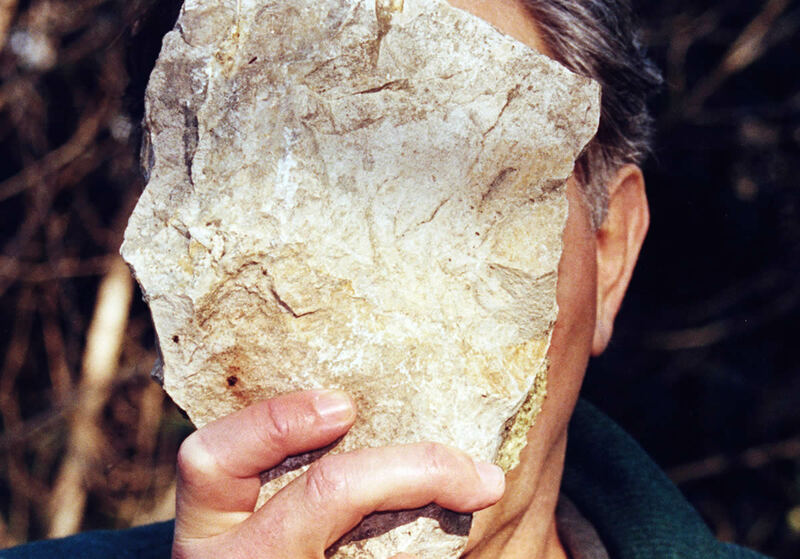 Rocks, Stones, and Dust is an exhibition devoted to rocks and their relations. It surveys diverse speculations on the roles that rocks play in the development of human culture and how they exist to and for themselves. Rocks are everywhere—they are in our tools, architecture, philosophy, theology, beneath our feet, and flying far above our heads—but this ubiquity sometimes masks their ontological significance. Rocks are prototypically non-human and characteristic of the least animated objects in our world, yet stones are born, they move, age, breed, and return to dust. Some ask us to pick them up off the side of the road and carry them with us, and others invite us to stare into their surfaces to look for inner truths. In their omnipresence, rocks can go unnoticed, but within object-oriented philosophies, aboriginal epistemologies, panpsychism, and countless other systems of knowledge, rocks are recurring characters that show us how even in what seems to be the least mobile of things, we can find life. The works brought together in Rocks, Stones, and Dust address this vitality and unearth the role rocks play in helping us understand questions of beingness outside of human being. We gratefully acknowledge the operating support from the Canada Council for the Arts and the Ontario Arts Council, with additional project support from the Ontario Arts Council, the Jackman Humanities Institute, the Goethe-Institut, and Manulife Financial. Title Image: Lucy Tasseor Tutsweetok, Mother with Children, late 1970s to early 1990s. Carved stone. Courtesy of Feheley Fine Arts.